Welcome to the Registration Page for the Age 65 and Up FREE Webinar! Turn the Tables on the IRS...Moves to Make NOW that will Help You to Save up to $500,000 or More in Retirement Income Taxes! 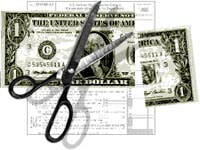 New Tax Law Provides Several NEW Opportunities to Minimize Your Taxes NOW and in Retirement! How many are you currently implementing? Find out what to do NOW to avoid paying taxes over and over on the same retirement dollar! Does your current plan have the answers to the FIVE Questions Ever Tax Efficient Retirement Plan Must Answer? FREE Gift for All Attendees…The Ultimate Gift to give to your Loved Ones!